The award-winning actress presents her literary debut. An unconventional memoir in letters, Dear Mr. You chronicles Parker's life through correspondence with men from her past and imagined future and reveals the complexity and power found in relationships both loving and fraught. In conversation with Leslie Jamison ( The Empathy Exams). Gloria Steinem - writer, activist, organizer, and one of the most inspiring leaders in the world - now tells a story she has never told before, a candid account of how her early years led her to live an on-the-road kind of life, traveling, listening to people, learning, and creating change. She reveals the story of her own growth in tandem with the growth of an ongoing movement for equality. This is the story at the heart of My Life on the Road. A wonderfully unconventional literary debut from the award-winning actress Mary-Louise Parker. 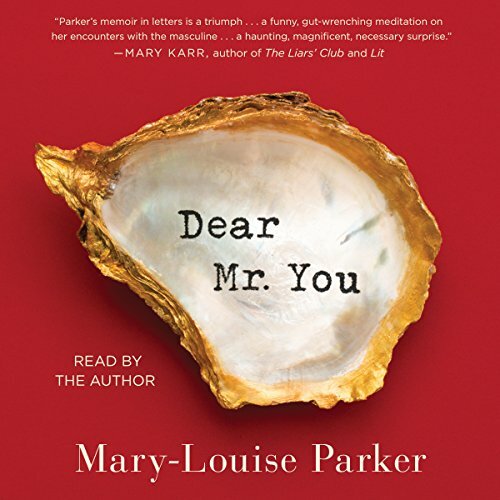 An extraordinary literary work, Dear Mr. You renders the singular arc of a woman's life through letters Mary-Louise Parker composes to the men, real and hypothetical, who have informed the person she is today. Beginning with the grandfather she never knew, the letters range from a missive to the beloved priest from her childhood to remembrances of former lovers to an homage to a firefighter she encountered to a heartfelt communication with the uncle of the infant daughter she adopted. Listeners will be amazed by the depth and style of these letters, which reveal the complexity and power to be found in relationships both loving and fraught. 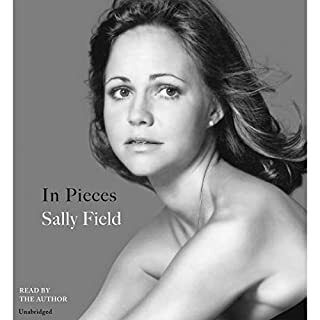 This book was like a long weekend away at an Inne with an old ms dearest of friends as she reminisced about her dad, her family and long lost loves - I listened in my car via Audible and feel that the book became 'alive' to me because Mary Louise read the letters to me. As the memory keeper in my family it made me long to write my own stories - to tell our learnings and to share that which I have evolved to comprehend and discern into prose. This book is a promise kept. This is a book about promises to come. This is a book that lingers with my soul and intertwined and wraps my heart with genuine wath. As the harmonica closes out the story a smile will form on your face. I feel so special to have had but a glimpse into the soul of a fellow sojourner . We have all loved, we have all regretted, we have all reconciled and all lost in the name of relationships. From the wreck less abandonment of new love to the poetry of commitment told they the eyes of her mom and dad - Mary Louise gives a poignant performance worthy of praise. Well done Mary Louise- you've made a difference in me and I will cherish your book. Thank you very much for scribing the etchings of your heart! This book is raw, honest, intelligent and so beautifully written. 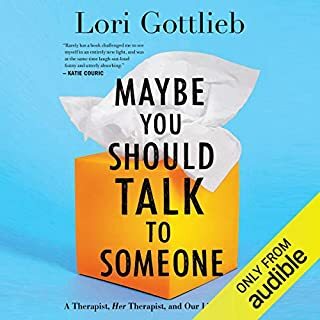 This is by far my favorite audible book! Mary- Louise Parker is immensely talented writer. A rare mix of candor, insight, and a masterful command of English. Kudos to Parker. ...or better yet, listen on audio. Its awesome! A review cannot do it justice. entertaining, respectful, deep and genuine,,,! 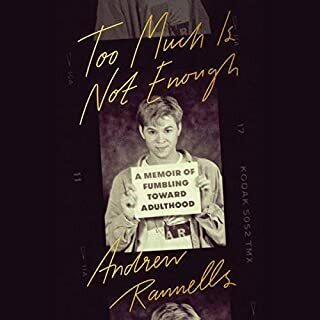 Could not get through much of this book. 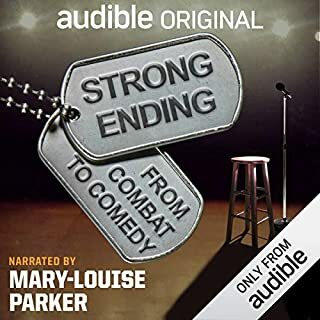 When Parker writes about others, as she does in the audio sample for the book, in which she writes about her grandfather, it is palatable even interesting. But much of the early pieces are about taking theater classes and focusing on 'yous' who appear to be guys she is involved with. Those pieces seem to come out of her personal journal and they should have stayed there no matter how well written. She does not make me care about the dynamics of her theater classes or her goals and lifestyle as a young adult. Such sections, written and read as if they contain universally compelling truths and insights, seem self indulgent. Beautiful book full of grace and wisdom. Read like a close friend revealing their best moments and realizations. I really loved this one. Not always can an author read her/his own book well, but mlp does it well. Her varied letters carry all possible emotions, her own as well as her reader responses. I like that each letter is a new chapter which makes it easy to revisit. Most letters are under 15 mins so it's also a good book to pick up and allow for interruptions. The author is warm, funny, loving, pragmatic and philosophical. It's entertaining and thoughtful. A worthy use of my time. you win the car for finding those Olympia blue points. You even included the moment you took a u-turn back down the elevator to the helpless concierge. Those reincarnated shells like this memoir give me hope that somehow the planet may just survive. Like that prior generation who dared to look at each other with an intimacy too sacred to notice, you have surrendered your user name and password to holiness. I am more real today for having listened to these letters. This has been like some Iroquois initiation rite that makes me ashamed for every failing and aspire to be more the man who populates your soul.